Bernie L. Patterson became the 14th chancellor of the University of Wisconsin-Stevens Point in July 2010. His first year of leadership coincided with significant statewide economic challenges, during which Patterson and the UW-Stevens Point community helped lay the foundation for long-needed reforms in the efficiency and effectiveness of public higher education in Wisconsin. During Patterson's tenure, UW-Stevens Point developed a campuswide strategic plan to guide the university's academic programming and operations. A vision for the university has been articulated as A Partnership for Thriving Communities. Thriving communities are vibrant, healthy, prosperous and sustainable. It provides the framework through which the university is more engaged with area stakeholders, more responsive to local needs and more relevant to solving regional problems. The university has strengthened its ties within the local and regional communities. 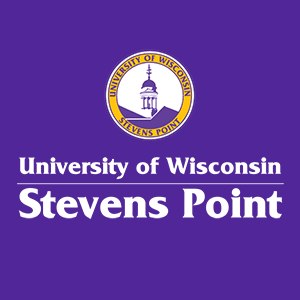 The integration of two-year campuses UW-Marathon County and UW-Marshfield/Wood County with UW-Stevens Point in July 2018 further strengthens community partnerships. Northcentral Wisconsin will benefit from shared services, resources and opportunities through expanded programs and community engagement. Under Patterson's leadership, the advancement function has been significantly reorganized and made more robust. UW-Stevens Point's first comprehensive capital campaign, a six-year $30 million effort on pace to exceed its objective by 20 percent, includes the largest gift in university history and records for annual fundraising success. In addition, senior leadership has become more diverse. 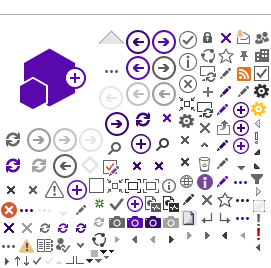 An enrollment management model has been developed on campus. The university has also re-established a clearer, collective understanding of the students' role in the university's shared governance. Patterson's career of service to higher education has included leadership both in public and private university settings. Prior to joining UW-Stevens Point, Patterson was provost and vice president for academic affairs at Oklahoma City University, beginning in 2002. There he established the Office of Institutional Research and Assessment, the Office of International Education, the Office of Instructional Technology, the Center for Excellence in Teaching and Learning, and the Fine Arts Institute. Other initiatives included the university's strategic and tactical plan, campus master plan, assessment plan, summer reading program for incoming first-year students, enrollment management programs, faculty fellow program, visiting scholars program, national student scholar development coordinator, Phi Kappa Phi chapter, and a focus on faculty recruitment including an emphasis on faculty diversity. Patterson also served as a dean and assistant dean at two institutions in the University of Georgia System—Georgia College and State University, and Valdosta State University. His professional activities include the Institute for Educational Management at Harvard University, a Wye Faculty Fellowship at the Aspen Institute, and a Fulbright tour in Tanzania, in 1992. He has led or participated in international delegations to Belize, the Czech Republic, the People's Republic of China, the Republic of Hungary, the Republic of Ukraine, Slovakia, the United Kingdom, the United Republic of Tanzania, and Taiwan. He serves on the boards of directors for Marshfield Clinic System and Worzalla Publishing Company, and the Associated Bank North Central Advisory Board. Patterson holds a Ph.D. and a Master of Arts in criminology from State University of New York at Albany, an Education Specialist degree and a Master of Science from the University of Central Missouri, and a Bachelor of Science in Technology from Missouri Western State University. He resides in Plover. He has a daughter who is a practicing attorney and two granddaughters. State of the University Address Presentation Slides Chancellor Patterson's presentation slides from his August 30 State of the University Address are available as a PDF file. New UWSP Chemistry Biology Building highlights exceptional work on campus In Chancellor Patterson's August 27 article in the Stevens Point Journal, he discusses the new Chemistry Biology Building on campus and the positive impact it will have for faculty, staff, and students. Let's have constructive, informed dialogue about UW-Stevens Point In Chancellor Patterson's June 14 article in The Capital Times, he discusses fact vs. fiction in regards to the Point Forward proposal. To request a meeting with or speaking appearance by Chancellor Patterson, please contact Sara Brandl-Reeves at Sara.Brandl-Reeves@uwsp.edu or 715-346-2123.